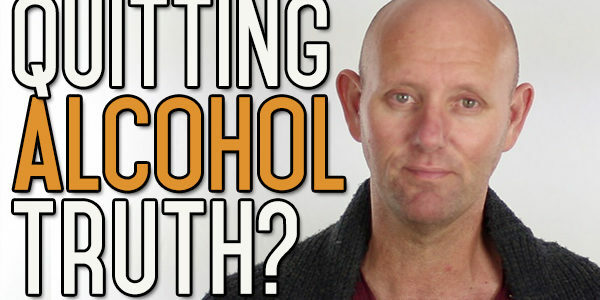 What is the whole truth about quitting drinking alcohol? Now what I mean by that is what is the one de facto way that you can quit drinking alcohol and that be it! It works for you. Everything I teach here in Alcohol Mastery is only my version of quitting drinking alcohol, it is only one way of looking at things. I can speak from the perspective of what is working for me and what I feel is working for other people, through the feedback I receive. I listen to what people tell me is or isn’t working for them and if I get enough feedback to that effect, from enough people, then I act on in. If enough people tell me something is not working for them, then I’ll drop that advice. 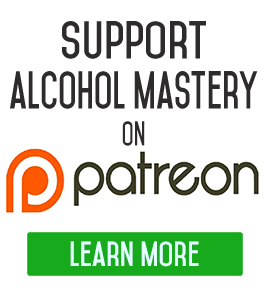 And so, this for me is how I’m building up Alcohol Mastery, as I go along its gradually being built into something which I hope will help a lot of people in the long run. I’m not the only thing out there. Some of the people who I found inspiration from in the beginning were, people like Alan Carr and his controlling drinking theory. I also found a little bit of inspiration from the AA and rational recovery and many, different people from different walks of life. Quitting drinking alcohol is not any one of these things. It is the sum of all the parts. 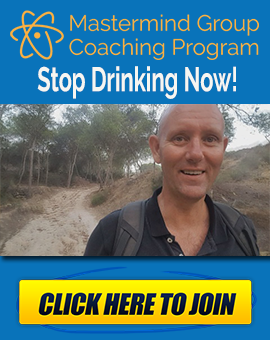 When you are quitting drinking alcohol you’ve got to do your own research and you’ve got to find what’s working for you. There’s going to be stuff that I say to you that just doesn’t sound right or doesn’t sit right with you and is not going to help you. There’s other stuff that I say that hopefully, as you’re watching these videos, really does resonate with you and that you can see bringing forward and integrating into your own life to move yourself forwards. The reason I’m tell you this story is because they are basing everything on what they personally perceived they’re missing a whole lot of other stuff and they’re going on their own biases. Sometimes we lack this just general objectivity in life, especially when we’re doing stuff like this. We sort of look at something like the AA and say I don’t like this part of it or that part of it, therefore, I’m going to dismiss the whole lot. But what he’s getting is just a picture of New York. If you imagine each one of these people has their experiences in the form a pebble and they take their pebble and put it down, into the overall mosaic of New York and everyone who places a pebble has their own different view. The real New York is an accumulation of these pebbles. It’s a mosaic of all these pebbles, so the Policeman has got his own version the Society Columnist has got her own version, the Road sweeper his, the Lord Mayor is hers. It’s the same thing when you’re looking for information about quitting drinking or quitting smoking. 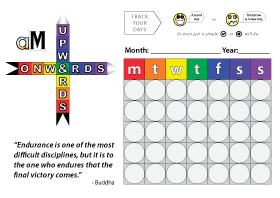 When you are looking for information about trying to get new habits into your life, you’re going to hear a lot of different stuff and what you can do with that is you can build your own mosaic which is suitable for you, what is going to suit you or what is going to suit your life. There is no point in taking everything that I say or everything that Alan Carr tells you and taking them verbatim and trying to apply everything to your life because it’s not going to work like that, you’ve got to take the bits out that apply for you. The general principles might work but you’ve got to take them and change them a little bit and just see what works for you in the long run. Build your own mosaic, your own whole truth about your own journey, not only for quitting drinking alcohol, but for whatever you try and do next. I hope you got something out of that, it was a little bit rambley, if you like the Video give us a thumbs up. If you have anything to say, any comments at all leave them down below. If you have any questions leave them down below as well, I’d love to hear what your opinions on this are. "Everything we hear is an opinion not a Fact, Everything we see is a Perspective not the truth"
What worked for me was to totally immerse myself in everything I could find related to alcohol and then (as you say) use the bits that made sense to me. I attended AA meetings and read voraciously (Allen Carr and others) until I started to get a better understanding of alcohol and addictions in general. 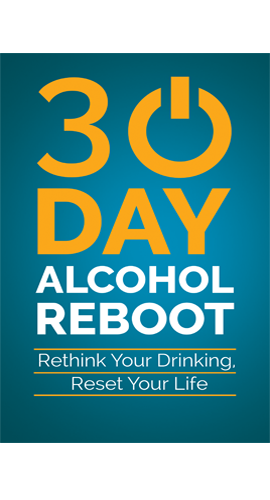 AA was great for providing first-hand experiences and to understand the true horror that some people have faced with their alcohol addictions. For some people, joining a “club” like AA is the best solution. It provides a very detailed and prescribed (regimented?) method (the 12 Steps) that is perfect for someone who is comfortable with following the lead provided by others. For me it was not a good fit and I could not envision myself as becoming a life-long member of group that by definition declared themselves as “alcoholics” and therefore not capable of control in regards to alcohol use. In a sense, they seem to feel the need to define themselves as somewhat defective in that regard. I eventually declared myself as addicted to alcohol usage, but otherwise fundamentally no different than anyone else. No bad genes or other physiological predisposition to alcohol abuse. Just addicted because I enjoyed the sensation of being drunk, plain and simple. And I now believe that everyone who drinks to any level is drinking for that same reason. They enjoy the sensation (high) of inebriation. What finally got me to give it up was the realization that I was actually ingesting a poisonous substance on a very regular basis in order to gain that inebriated sensation. And my body was becoming less and less capable of dealing with the substance. So the price I was paying for my pleasure was not worth the pain my body and mind were experiencing as a result. Very simple deduction once I put all the pieces together. And now I am much happier and healthier overall than I was when I was a regular alcohol user. I agree. I’ve read some books where I completely disagreed with the author on most topics. But then I’d come across something small which I could use myself. I’ve found inspiration in my Catholic heritage and in some Bible quotes, although I don’t particularly believe in any of that. If you can overcome your own prejudices about the source of the material, there is a lot to learn from many different people and disciplines. Thanks for all your great posts! Over a year alcohol free. What a joy to awaken each day AF and ready for what the day has in store. Have a fine holiday and keep up with this calling of yours. Well said, Kevin! I also agree and appreciate Peters comment above. I drank because I enjoyed the feeling of being inebriated and the numbing of pain, worries and frustrations. But, the drink only compounds the misery and should be looked upon as chemical poison that destroys our organs. It was MY choice to put the alcohol in my mouth and it’s MY choice to stop. I’m researching, self motivating and doing all the work (journaling, changing routines, identifying triggers, meditating and participating in on line support groups as well as friends who are also in this path. Life goes on and it’s getting better all the time. Thank you for your terrific videos and honest, straight to the point videos. They make good sense to me and are very helpful! Thank you Kevin. You always give us nuggets of truth and I appreciate your perspective. I haven’t actually disagreed with anything you’ve said. It’s all well said! I find your relaxed, confident, no-nonsense style refreshing and enlightening. I have many notes from your videos. Please keep up the great work!! 21 days of not putting that poison in my mouth. Love your videos. I need them the most driving home from work. The thought comes same time same place everyday. I am getting a little wiser now to at least see that it will be hard from 5pm till I drive in the driveway. Then I am free again. Brilliant post just what I needed to hear after reading/googling/bloggjng so much out there I have brain overload.. I get it now. I really liked your message on making your own mosaic on what works for each individual. The majority of your videos I find beneficial and some I can’t connect with. I often though I was missing something but this video suggests that’s ok and you take the pieces that work for each person. The bottom line for me is taking responsibility for your life and actions. I am less stressed by not drinking because I knew it was bad for me and it was a huge weight on me that is gone. There was no joy in feeling stressed and guilty. Better health and improved quality of life are the rewards.